Pont des Arts designer perfumes is celebrating its first year of launch and marketing at the “La Place” concept store. Around a glass in this new Parisian place, which mixes artistic creations and rare perfumes, the exchanges will focus on the themes of the place of a new French perfumery, in the tradition and the modernity of the elegance of the eternal Paris, the craftsmanship and crafts. 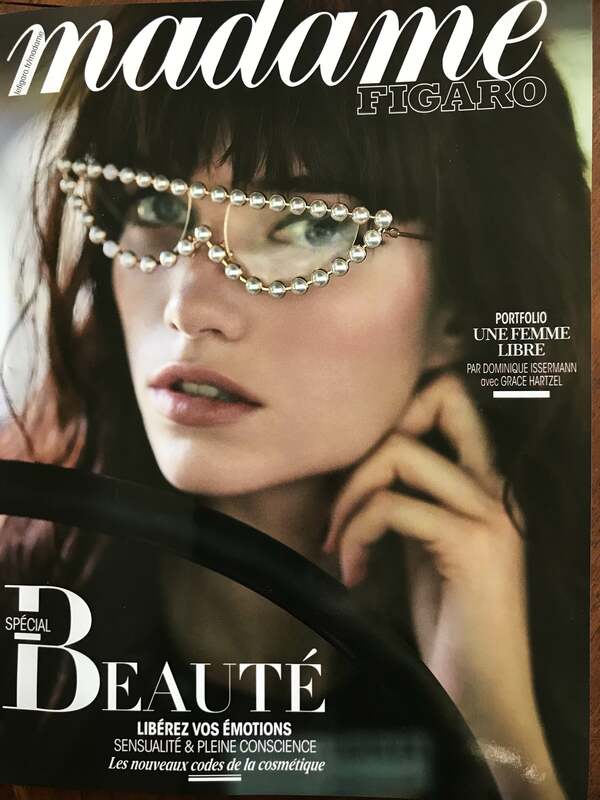 The founders of Pont des Arts will talk about the genesis of the brand, the various creations and collaborations for its realization and will make a point on the first distribution agreements. 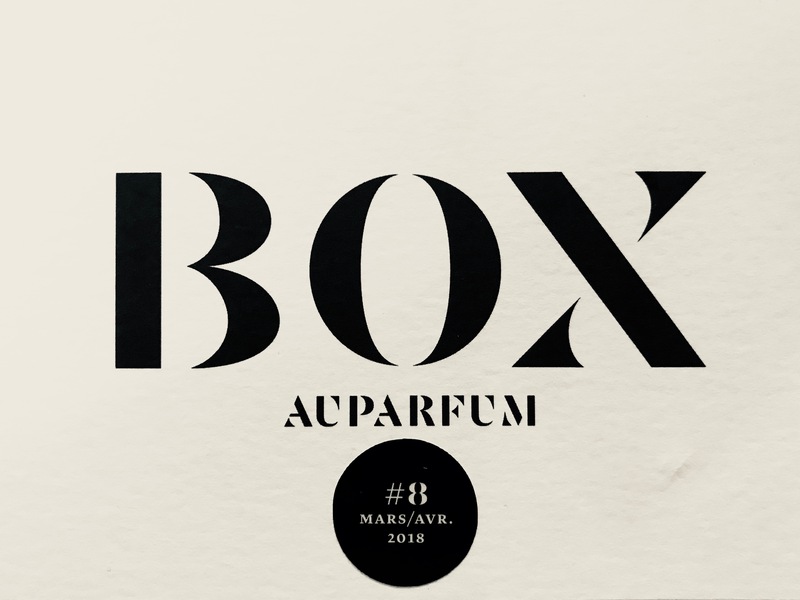 The two “noses”, independent creative perfumers with whom the first fragrances were created, Bertrand Duchaufour and Vincent Grandjon will present their respective creations. 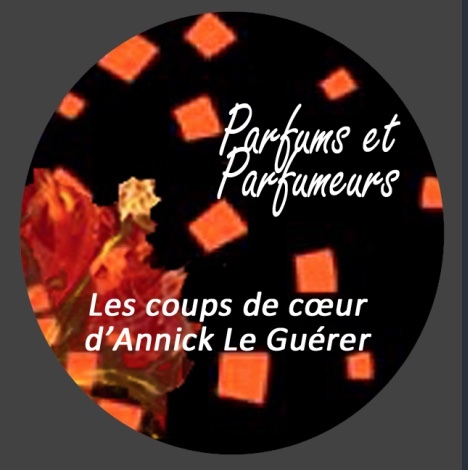 Annick Le Guérer, Anthropologist, Philosopher, Historian, Writer of Odor and Perfume gives us her favorites of perfumes. The Pont des Arts house with its first 3 fragrances À ce soir, À chaque instant, On s’était dit were selected and it goes straight to the heart ! 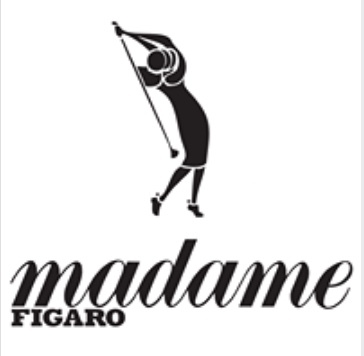 On this occasion, the creators of the brand will give a “surprise prize” to the winner designated by the Madame Figaro Trophy in Hersant, and the “prize of elegance” during the final of the Trophy at the Evian Resort Golf Club. The Fragrance Foundation’s stated mission is “to inspire the world to discover the artistry and passion of fragrance”, showcasing the finest talents and creativity of the world of perfumery, promoting its cultural and artistic values and its professional expertise and spreading the word about fragrance via a range of actions aimed at professionals but also the general public. A non-profit organization (1901 decree), The Fragrance Foundation France is the Gallic arm of The Fragrance Foundation, an educational trust founded in the United States in 1949 by Chanel, Elizabeth Arden, Helena Rubinstein, Coty, Guerlain and Parfums Weil, with a view to increasing awareness and understanding of the fragrance industry and its different fields of expertise. For close on 25 years now, the Foundation has hosted the annual FIFI awards ceremony, with prizewinners being chosen by a jury of Experts (journalists, assessors and bloggers) in recognition of the finest fragrances produced by a niche brand and the best collection from a major brand. In June 2015, the Foundation also organized a large-scale exhibition in the gardens of the Palais Royal in Paris, curated by Sabine Chabert, Associate Director of the Foundation and Isabelle Ferrand, CEO of Cinquième Sens. 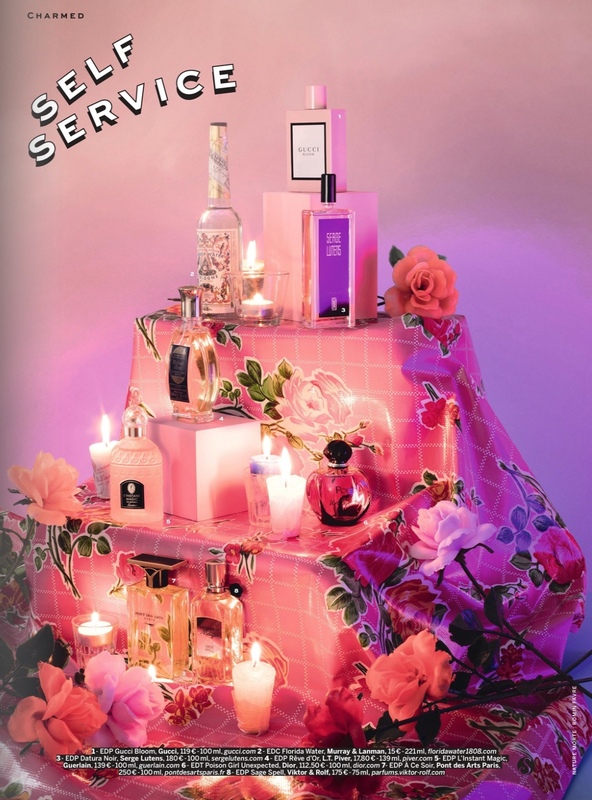 Entitled Le Parfum dans tous les sens, the exhibition presented both artistic and educational input, blending photographs with informative panels providing an insight into the different professions within the fragrance industry. A documentary record of the exhibition, with all of the aforementioned visual content, was published at the end of 2016. Pont des Arts is a partner of the Philippe Chatrier trophy for the Philippe Chatrier Foundation for the research of Alzheimer’s disease. 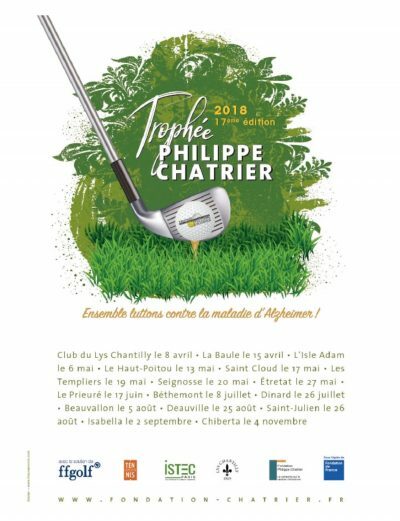 The Philippe Chatrier Golf Trophy is a charity organized in the form of a friendly golf competition. All the profits collected are reserved to the Philippe Chatrier Foundation, operating under the auspices of the Fondation de France for research on Alzheimer’s disease. 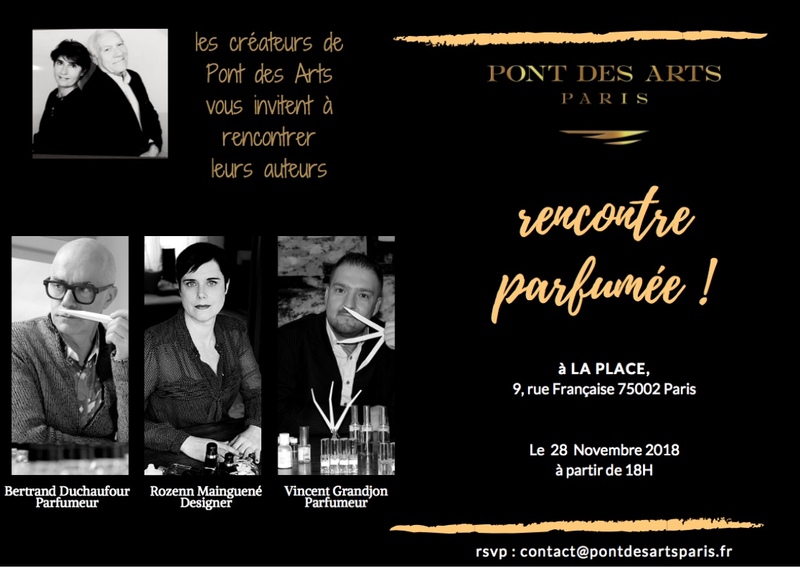 Pont des Arts will give perfumes the winners of some of the competitions organized in 2018. Lovers of rare perfumes will have the pleasure of discovering this new and elegant brand where Paris, the scents of nature, sculpture and beautiful stories are inviting. We met the creators of Pont des Arts, Géraldine and Bernard S.
It’s a special series of articles that I start here. 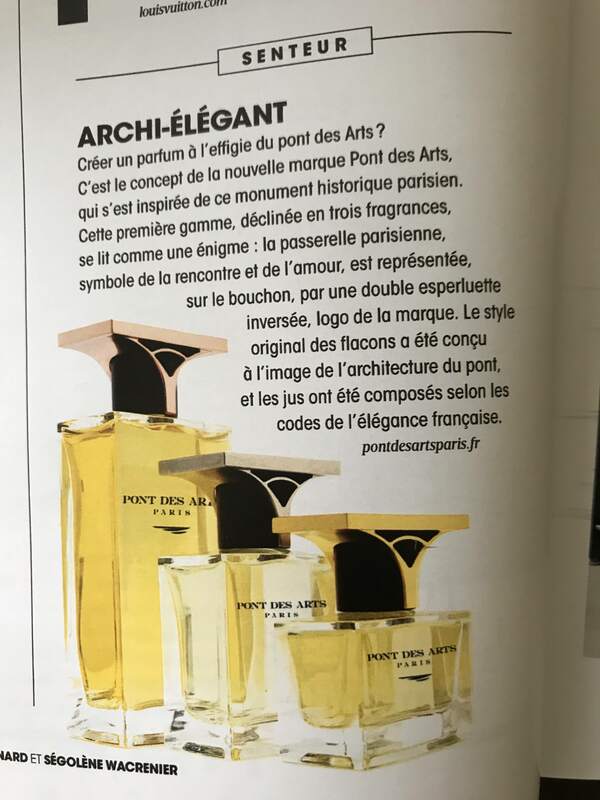 I propose you to discover with me the birth of the creation of a very recent perfume brand: Pont des Arts. 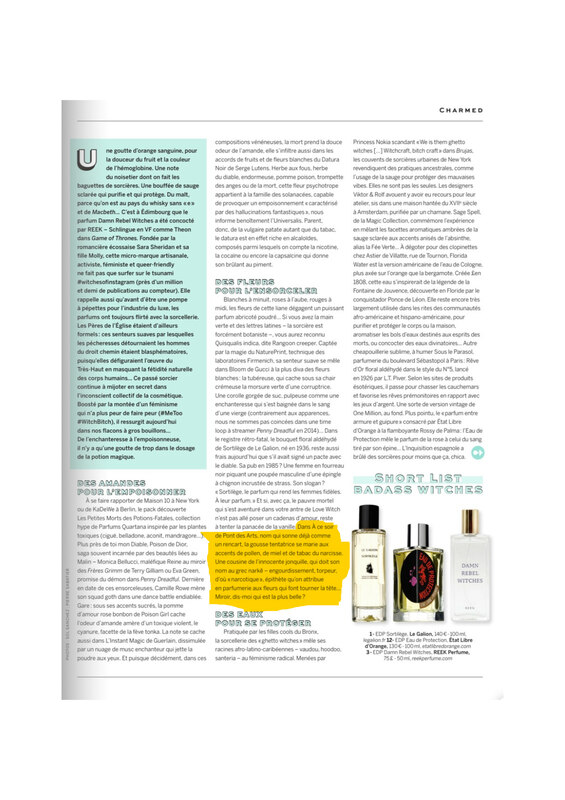 “Bertrand Duchaufour is one of the most prolific perfumers of the past ten years. That he is also among our best perfumes while being this productive is also something to admire. It is now getting to the point where it becomes difficult not to see pieces, or accords, of previous compositions within new ones. That could be seen as a flaw, but I don’t think it is as easy as picking one from Column A then B then C, et voila! I choose to see it more as a concept we use in drug discovery known as repurposing. When there is a new drug which works via a new biological mechanism there is an effort to see if there are older drugs which might combine with it to make it work better. M. Duchaufour is responsible for two of the three debut fragrances for a new line called Pont Des Arts. I received a sample of A Ce Soir in a subscription box. As I tried it out it was hard not to think that M. Duchaufour was repurposing some of his best accords to create a new effect. 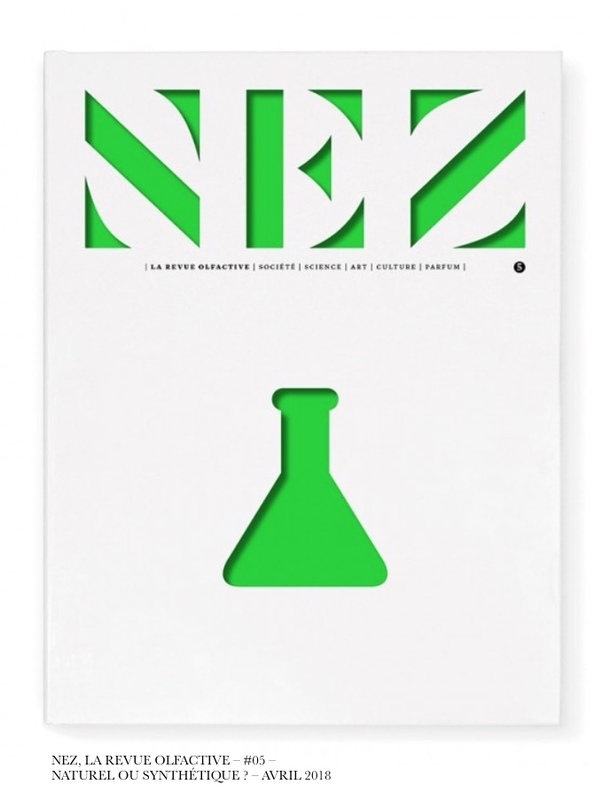 Nez la revue olfactive has selected among the novelties launched since September 2017, 30 perfumes including À ce soir. 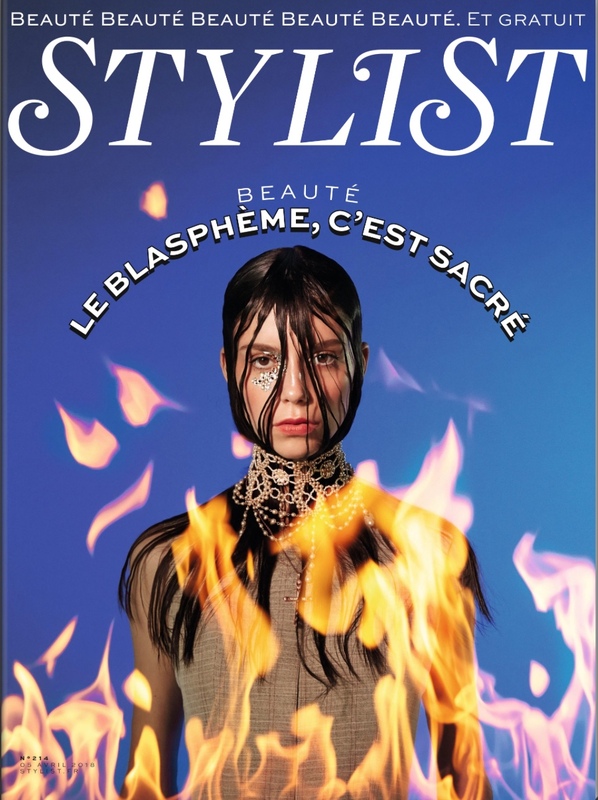 Thanks to the editorial staff of Nez la revue olfactive. Panoply is an original concept “rent fashion haute couture” whatever the occasion “by unit or by subscription so that the creations and collections of the great couturiers can be worn daily. Come and discover in their showroom, rue Royale in Paris 8th, their new collection of designer clothes and take the opportunity to feel the first three fragrances of Pont des Arts designer perfumes by leaving with your sample. 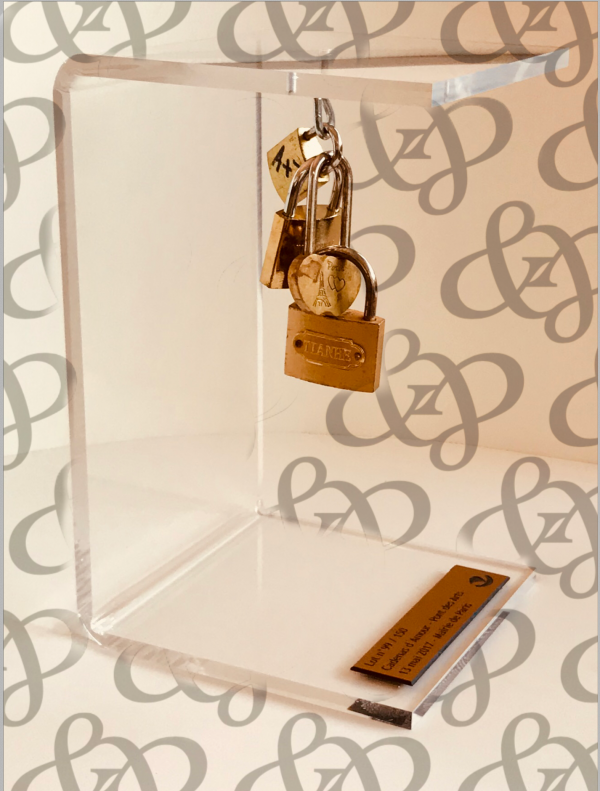 Pont des Arts, Designer perfumes participated in the “solidarity sale of love padlocks” of the city of Paris. A way to keep some “pieces of Paris”, a “little piece of heritage” and especially some “metal proofs of love”, removed from the “Bridge of Lovers” in 2015. The sale was a great success with more than 400 subscribers (Americans, Italians, Brazilians, Taiwanese Asians, Korea, China, Japan) connected to the auction or in the room of the Credit Municipal de Paris. 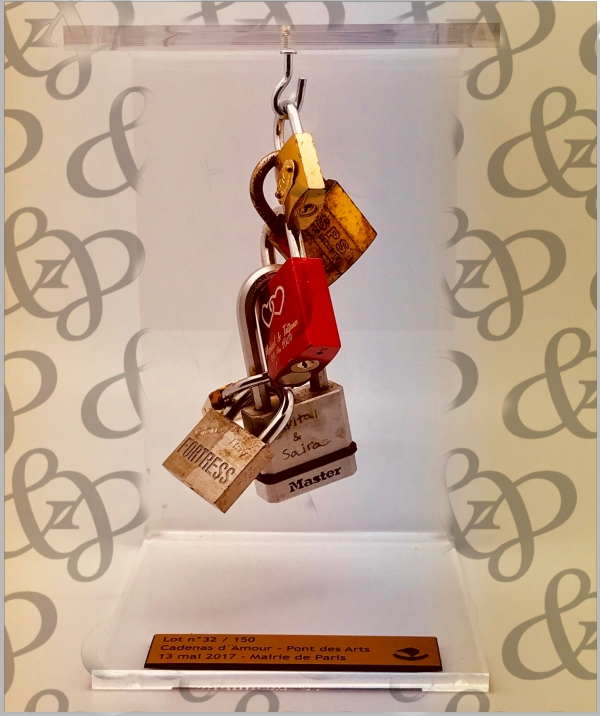 This is how 150 “clusters” of padlocks highlighted “on Plexiglas plinths, but also in wood like the bridges and pedestals paved in Paris” says Mathilde Belcour-Cordelier, Assessor of the sale, and 15 Locking grids were auctioned by the City of Paris.